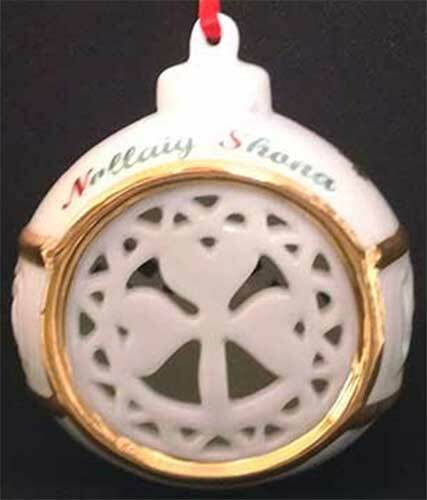 Nollaig Shona Irish Christmas ornament features a shamrock along with Celtic knot-work and holly and berries. Nollaig Shona, are the Gaelic words for Happy Christmas. 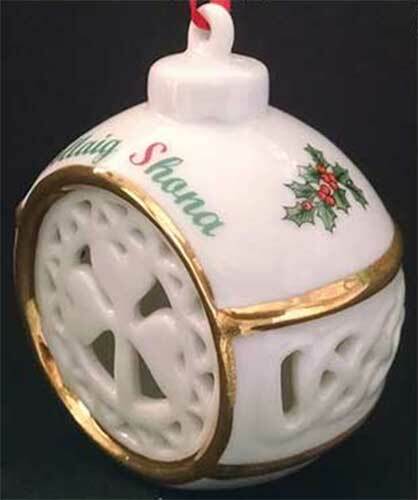 This Irish Christmas ornament features the Gaelic holiday blessing of Nollaig Shona along with a shamrock and Celtic knot-work with a lattice motif. 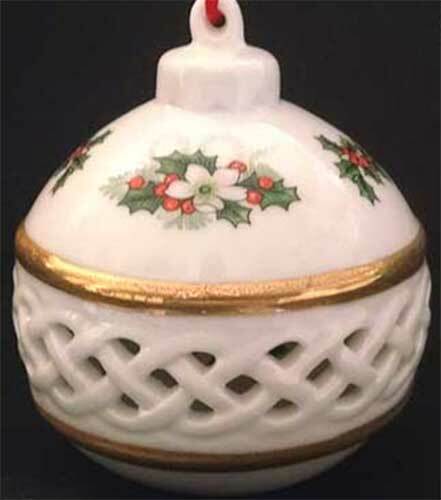 The Nollaig Shona Irish ornament is a white porcelain bauble that is enhanced with holly and berries along with gold accenting; it measures 3" wide x 3 3/8" tall x 2 1/2" deep. The Irish ornament is ready to hang with the included red ribbon and it is gift boxed with Celtic knot and shamrock history cards, complements of The Irish Gift House. 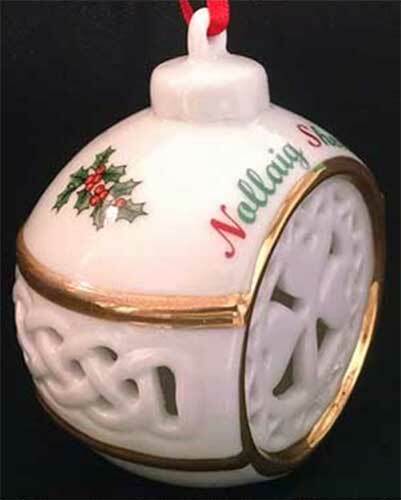 Nollaig Shona - Happy Christmas in Irish.